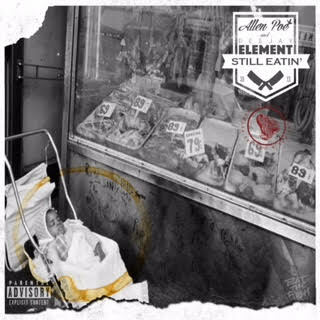 Persistent to propagate his supporters, Kentucky MC Allen Poe’s latest video correlates with the release of his new album, a collaboration with Deejay Element, Still Eatin. Also including the track “Cascade”, the EP recently premiered on 2DopeBoyz and is also available on iTunes. This entry was posted in Hip Hop, Mixtapes/Albums, Video and tagged Allen Poe, Deejay Element, Kentucky, Still Eatin'. Bookmark the permalink.